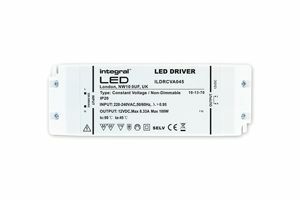 This 100 Watt LED Driver is used to power low voltage (12v) LED bulbs and is ideal for use with LED Strip Lights. 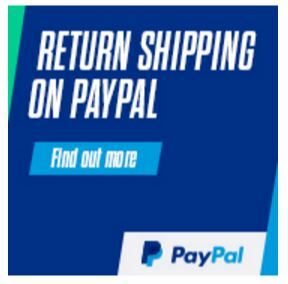 LED bulbs require a constant current to work properly. Sometimes a normal 12v transformer will work correctly with LED bulbs, but in some cases the lifespan of the bulb will be reduced. This Driver is both a constant current and and a constant voltage driver. This driver can also be used in conjuction with LED controllers for strip lights. Stip lights generally require between 5 - 10 Watts per meter depending on the type of strip light. Please look carefully at the power requirement of the striplight and select the appropriate transformer. This transfomer is suitable for connecting a series of striplights so four example a maximum of four of our 5 meter strips lights that operate at 25W could be powered. This transformer has 2 output connections so two seperate lenghts of striplight can be powered.